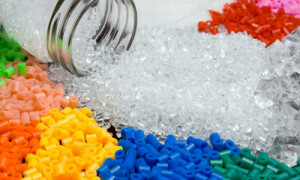 CANTERBURY (Scrap Monster): Eco Plastics- the UK’s largest supplier of recycled Polyethylene terephthalate (PET) has been acquired by German investment firm Aurelius. Post acquisition, Aurelius has now obtained 100% ownership of the Continuum recycling joint venture established with Coca-Cola two years ago. The financial terms of the deal are not disclosed. According to Aurelius, it will work towards long-term sustainable growth of the company and the country’s fast-growing recycling sector. It stated that the deal will take Eco Plastic’s operations to next-level and expressed confidence in future operations through financial support and improvement of operational capabilities to current operations. Meantime, Eco Plastics had posted a pre-tax loss of Euro 6.2 million during 2013. Hemswell-based ECO Plastics operates one of the world’s largest and most sophisticated plastic reprocessing plants, capable of sorting 150,000 tonnes of mixed bottles per year and representing around 35% of the total UK bottle collection in the UK every year. Since 2000, ECO Plastics has played a leading role in the UK’s plastics recycling sector with the development of new recycled plastic (Recycled Polyethylene Terephthalate – rPET) products. Aurelius has many years of investment and management experience in various industries and sectors.